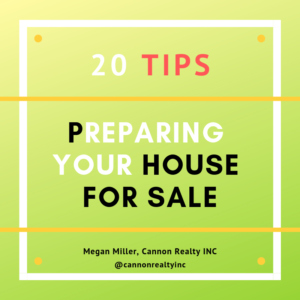 20 Tips for preparing your house for sale by Megan Miller Cannon Realty INC. These tips were pulled from a real estate website called “Keeping Current Matters”. The first ten tips are going to be how to improve your curb appeal. First impressions are everything! Curb appeal is a big deal, be sure to give the entry a facelift. What that means is paint the front door if it needs to be painted. In some cases, it might need to be completely replaced with a nice welcoming front door. Remove any debris; cobwebs, leaves, dirt, or grass clippings. Sometimes the doorknobs can be a little beat up too, so if your doorknob is looking a little worn or beat up, you might want to replace that too, because that’s the very first thing a buyer sees when they are entering your home. A well-maintained yard gives the impression that the home is very well cared for. So just clean up your landscaping, mow your grass, just make it look nice and groomed. Most of the time people are going to look at your house during the day, so they’re probably not going to pay attention to your exterior lights, but you do want to make sure that they have working light bulbs in them just in case they wanna turn them on and take a look. You don’t want anything to obstruct the view or give a negative impression of the home, so cleaning your windows inside and out is always a good idea. If you have anything in your garage that can possibly go to a storage unit, or just get rid of, or just put in an organized place in the garage, that really helps. One of the biggest thing that impresses me whenever I walk into a garage, is whenever there’s drywall and the drywall is clean and looks like it has fresh paint. I don’t know why, but it’s one of those things, where I’m like, “wow, this is a really well-maintained home because the garage is maintained.” So keep that in mind when you’re going to sell your house, try to keep the garage clean and organized as well. Depending on where you live, the time of year may not really be great for this, but you want to add a pop of color. In your front yard, you can plant some flowers, get some hanging baskets, put a flag or something out there. Anything to add color. This time of year we are getting frost here in Missouri, so planting flowers this time of year’s probably not the best idea, but if you’re gonna put your house on the market in the spring, weather permitting you can plant some small flowers, do a hanging basket, something to add color. If you’re gonna put your house on the market, and you wanna take those lawn ornaments with you, go ahead, remove those prior to listing it. You don’t want to come down to an issue with “I thought that was supposed to stay,” or “No, it wasn’t supposed to stay.” And honestly, some lawn ornaments are not attractive to all people so you don’t want to do anything to turn them off if there’s something that’s a lawn ornament that would… they would not like, so remove those ornaments, especially if you’re going to take them with you. This is totally simple, you can get them at Walmart for fairly inexpensive, so if your welcome mat is worn out, replace it with a new one, again it’s first impressions. Paint or replace street numbers, that’s pretty self-explanatory. Sometimes on sidewalks or driveways, you can get mold, pressure washes that off. If your siding is dirty or dusty or has mold on it, definitely wanna get that pressure washed. Those ten things will help with first impressions and curb appeal. The next ten we’re gonna go over is ten tips to make your house feel like home. A clean house allows the buyer to be able to walk in and picture themselves living in the house without having any distractions. If you have just a small room, for example, off your kitchen and you’re not really using it for anything in particular, give it a purpose. You can put a small desk in there, put a chair, make it a reading room, it just gives it a purpose and it makes buyers tend to understand the flow of the home. Dark rooms just give a cold and small appearance so open up the window shades or the blinds, let the natural light in, it really improves the warmth of a room and of a home, and it makes it look bigger as well. 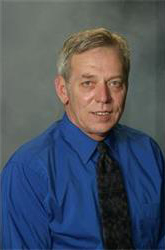 Believe it or not, that will help with your negotiation. Sometimes if people see something broken, even though it may only cost $10 to $20 to fix it, in their mind it’s 150. So if you can get it fixed, it’ll save you money, and it’ll save you money in your negotiation as well. If you can clean out your closets, your pantry, your cabinets, your storage room, your garage, anything that you can unclutter, it’s only going to make the spaces look bigger and more usable to be an advantage for selling your home for top dollar. This a common question we get, but yes, fresh paint and new carpet or flooring are definitely going to improve the sale of your home. Those are expensive items to do, especially the flooring, but if your flooring is outdated or in really bad shape, or you’ve had pets that have torn the carpet up in any way, definitely want to look at possibly replacing that cause it’s only gonna help to sell your house, especially if there might be a smell. Smells really turn people off, so that’s definitely a recommendation. If it’s a question to you, you can talk to your agent as you list the house, but it is something that does make a huge difference in the sale process. If you have any kitchen appliances that are sitting out on your countertops, find a place for those. It will make your countertop appear to be bigger and have more space. If there’s a lot of clutter on the kitchen countertops, it takes away from the overall kitchen and its appearance and size. Before you show a home, empty out your trash cans. That too just gives it a really clean effect. Make sure all doors open and close smoothly and fix any squeaks which can be fixed really easily with WD40, but I’ll give a tip that I use when I can’t find my husbands WD40 in the garage, I just use palm cooking spray. I do it a lot in my house. Well whenever I have something squeaky, I just go straight for the palm. That will give a better impression to the house if the doors are opening and closing all the way and there’s no squeaking. Very last one. Replace light bulbs with new ones and make sure all your switches are working. We have shown homes before that you walk into a bathroom, which usually bathrooms may not have a window, they’re kinda dark, you go to flip the light on, it may be only one light bulb was working. Well, that gives a really small impression of the bathroom and not very much lighting, and that’s a big deal whenever you’re getting ready for work and the lighting is bad. So make sure you replace any burnt out light bulbs with new ones and make sure your switches are working. 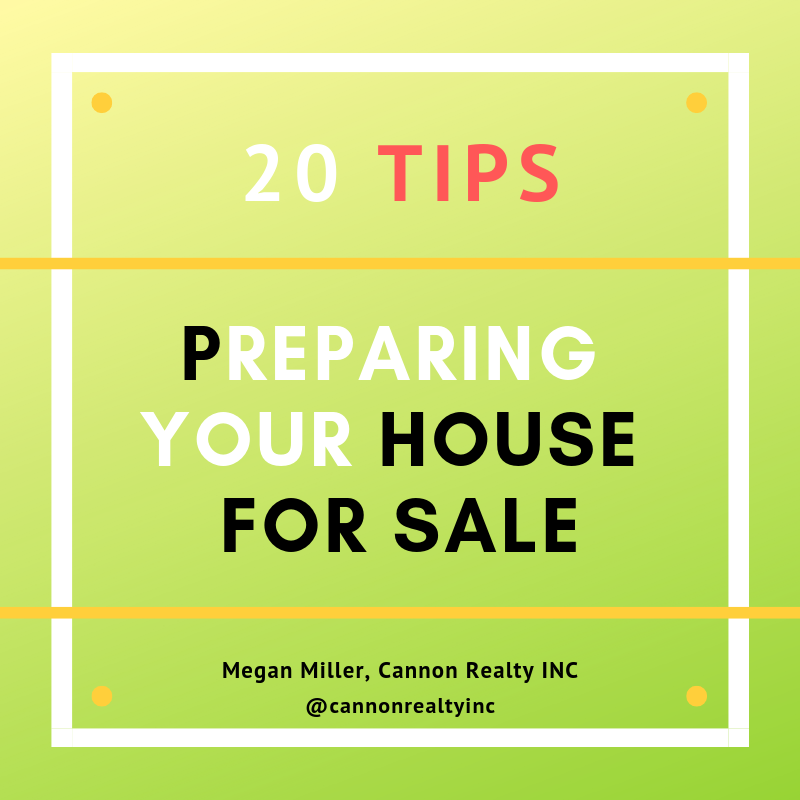 That concludes our twenty tips for preparing your house for sale. 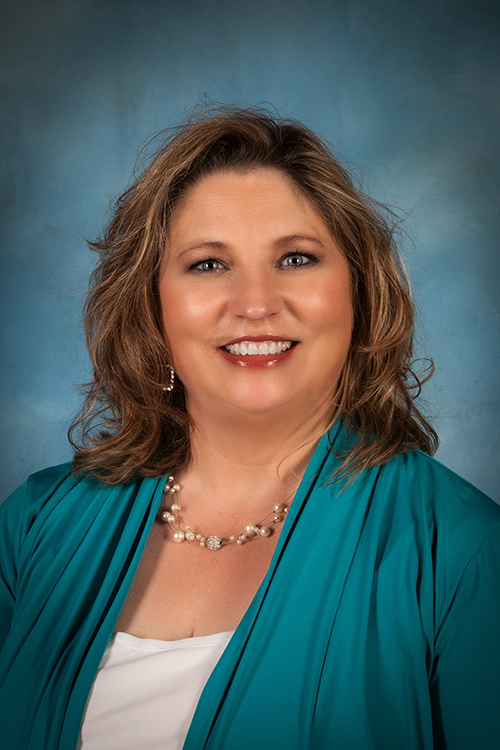 If you have any questions or if you would like to get your house on the market you can contact a Cannon Realty agent at our office at 636-462-5400.